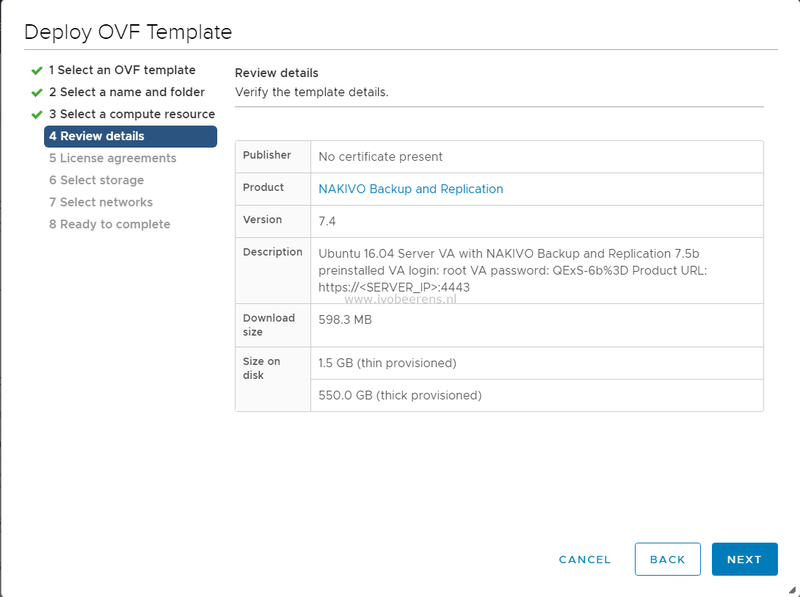 In this part of the NAKIVO Backup & Replication review I highlight the installation and basic configuration. 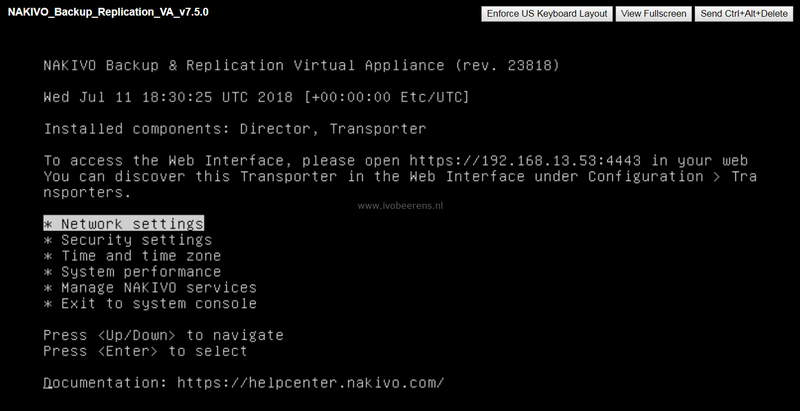 In my test environment I installed NAKIVO Backup & Replication as Virtual Appliance (VA) on my VMware vSphere 6.7 environment. 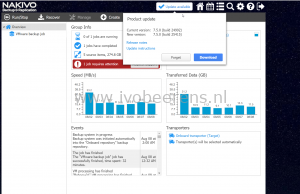 This is the latest available version of VMware vSphere when writing this blog. The installation of the virtual appliance can be deployed using the vSphere Client (HTML5) or the vSphere Web Interface. After the deployment the appliance is ready to start. 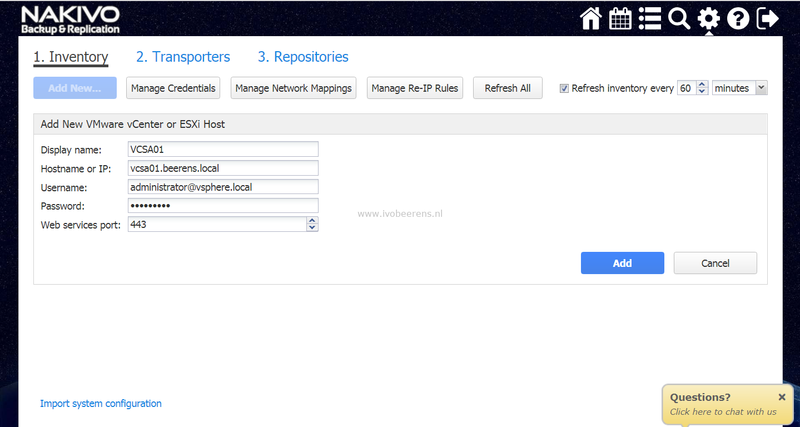 In the console of the Virtual Appliance several settings can be adjusted such as: networking, security (SSH and root password), time and services using a menu interface. The next step is the basic configuration. 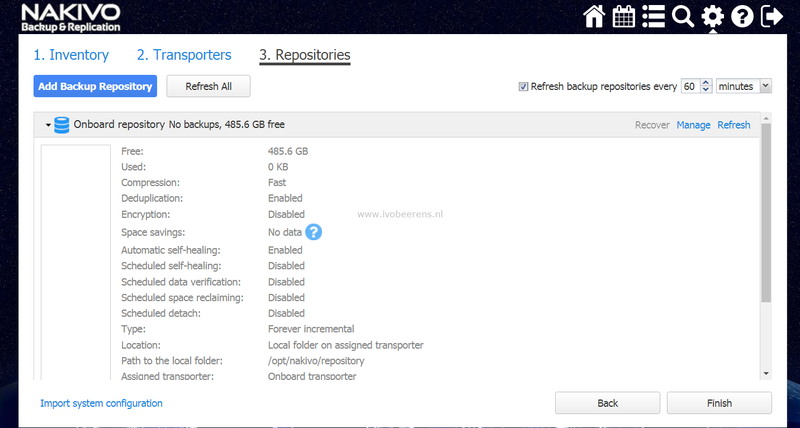 Another test i did is to install NAKIVO Backup & Replication directly on my QNAP NAS. The installation is straight forward. 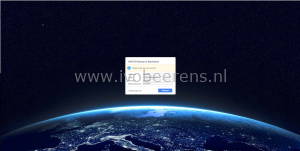 Download the NAKIVO QNAP package and install this using QNAP AppCenter. After the installation you’re ready to perform the basic configuration. Inventory: On what virtual/cloud environment are my VMs running (VMware, Hyper-V or AWS)? 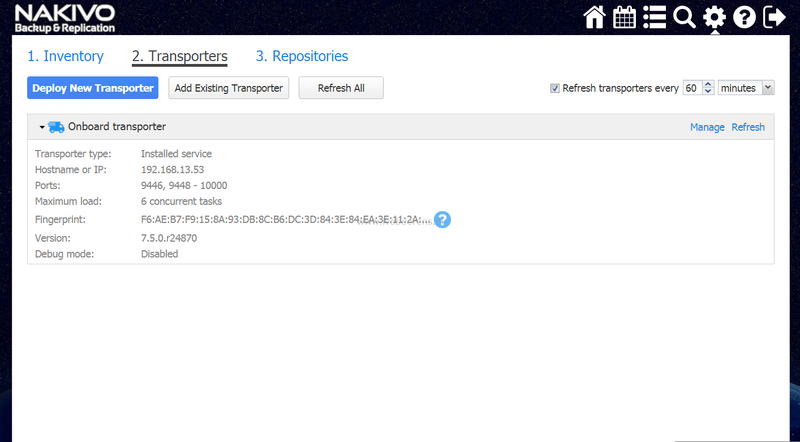 Transporter: That’s the component that performs the actual backup, replication and recovery as well the data compression, deduplication and encryption of the data. Repository: Where will the data stored. 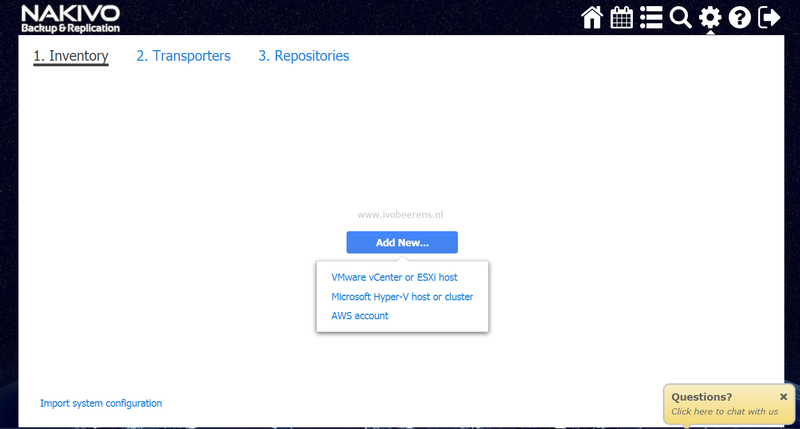 Because I have a VMware vSphere environment, I connect to an ESXi or vCenter Server in the inventory tab. The Virtual Appliance acts as transporter. The maximum load is default 6 concurrent tasks. It’s always possible to add extra transporters when needed. For the repository I use the onboard repository (uses hard disk 2) that is attached to the Virtual Appliance. The onboard repository compression and deduplication is configured by default. 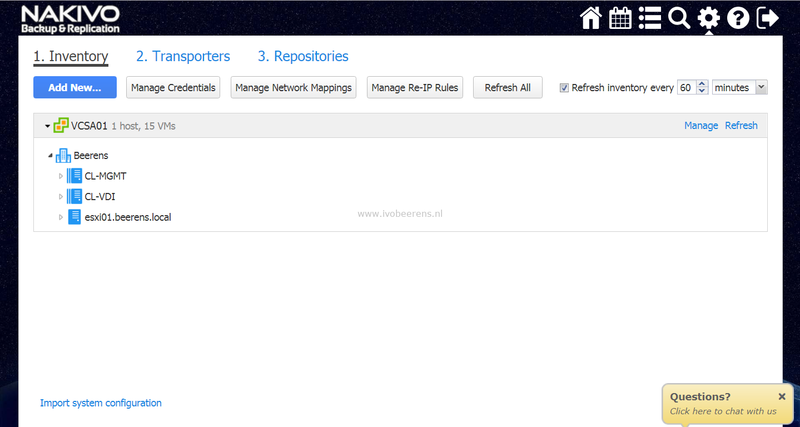 Other repositories options are: CIFS, NFS and Amazon EBS. 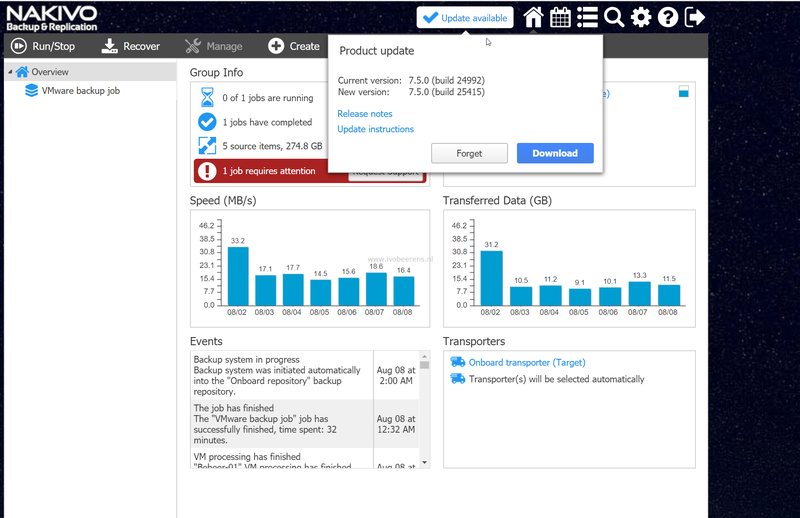 When new updates are available they are displayed in the web interface. For the Virtual Appliance (VA) download the updated installer and upload it the VA (/opt/nakivo/updates) folder. 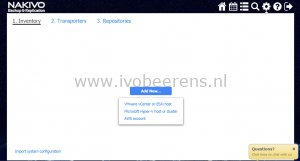 Open the console of the VA and select “Software Update” in the menu. It would be great when the upgrade process of the VA can be automated without any manually actions in feature releases. 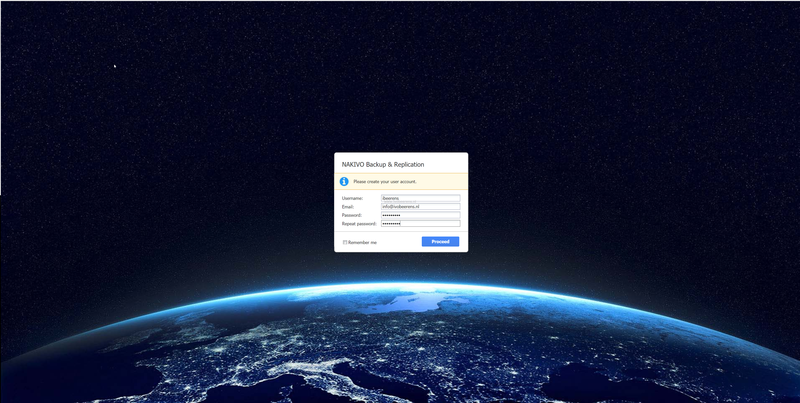 The installation of the Virtual Appliance and NAS option are simple and can be deployed very fast (minutes) without the need of a extra Windows licensing costs.